Margaret Mead was right. We need to be the change we want to see in this world. YOU CAN MAKE A DIFFERENCE. 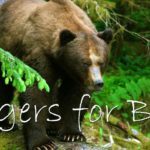 Join our group of thoughtful, committed citizens working to preserve wildlife in BC for it’s own intrinsic value and for the benefit of all. Become a member of Northwest Wildlife Preservation Society. Why? NWPS has been working diligently to preserve BC’s wildlife since 1987. We have successfully helped stop wolf cull programs, brought environmental education programs to over 200,000 children, rehabilitated estuaries, and removed invasive plant species from many natural spaces to reclaim grasslands and reintroduce indigenous wildlife and plant species back into damaged areas. Please consider joining or renewing your annual membership. Sign Up for an Annual or Lifetime Membership! *Discount will be available within 2 business days of joining/renewing membership. Enter your personalized promo code at check-out, which is your first name and last name together ie John Smith is JOHNSMITH. Your promo code will be valid during the calendar year(s) in which you have an active membership. Want to learn more? Join our email list and/or connect with us on social media! Like us on Facebook and follow us on Twitter and Instagram. We’re on SnapChat too! Search for NWwildlife.